OMG Posters! 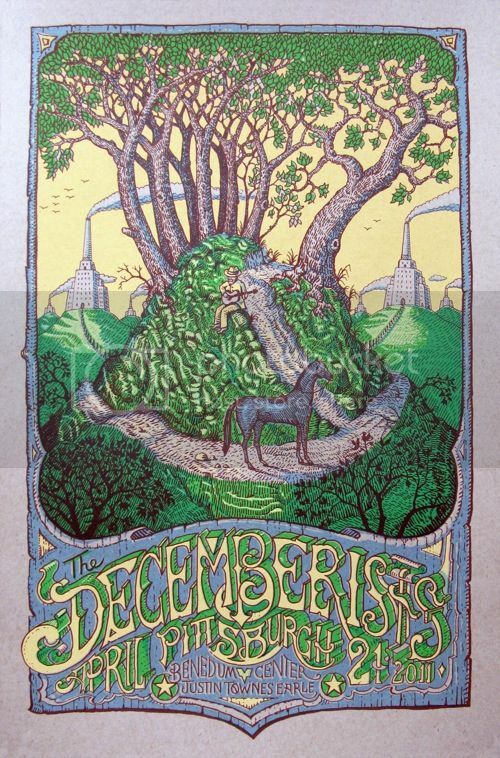 » Archive The Decemberists Poster by David Welker (Onsale Info) - OMG Posters! David Welker will be selling a few copies of his new poster for The Decemberists tomorrow. It’s a 12.5″ x 19″ screenprint, has an edition of 140, and will cost $30. It goes up tomorrow (Tuesday, April 26th) at 3pm Eastern Time. Visit WelkerStudios.com. No Comments ? This poster is the Bees Knees !